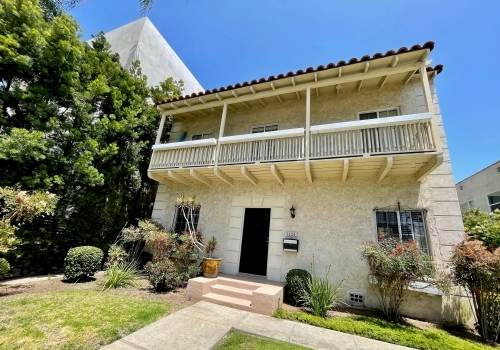 Charming four-plex in the heart of Beverly Hills. One short block to the exclusive shops along Wilshire Blvd. Vintage character details, original hardwood floors and decorative tiled baths. Sorry no pets.